As yoga therapy continues to establish itself as a profession distinct from yoga teaching, and the teachings of yoga are more broadly available to diverse populations, there is growing confusion about the difference between yoga therapy and accessible yoga. My aim here is to clarify this distinction to the extent possible, and to explain why the distinction is important for the intentions, practices, and policies of both yoga teaching and yoga therapy. It is my sincere hope that this clarification will also help to facilitate a collaborative bridge between these two sister professions. I’ll start with accessible yoga, because I believe that concept is the easier of the two to grasp. Accessible yoga simply means making yoga accessible. Because of historical forces that are beyond the purview of this article, yoga in the West has focused predominantly on the physical practices—primarily asana with breath integration and a short relaxation at the end. As such, it has been considered by many as primarily a form of physical activity. 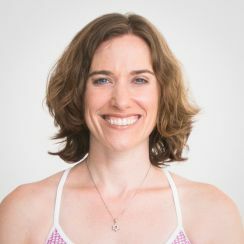 Additionally, as vigorous contemporary forms of asana were developed, yoga was seen as a practice for mostly young, thin, fit, college-educated, white women. Unfortunately, that excludes a whole lot of people who might benefit from the practices of yoga. There are many reasons that more people do not have access to yoga—including social and economic reasons as well as physical and emotional ones. It is a challenge to attend yoga classes when they require athletic levels of fitness, are held in buildings with poor accessibility, serve a homogeneous clientele, are expensive, and are available mostly in affluent neighborhoods. Students with physical limitations may be too intimidated to attend a class that focuses on asana—and even if they get up the courage to go, they may feel self-conscious or excluded or even become injured. The accessible yoga movement aims to make yoga more accessible to populations that may have previously felt excluded because of size, age, race, ethnicity, ability, language, income, zip code, gender, sexual orientation, clinical diagnosis, and the like. In fact, one reason more people are seeking yoga is that it has been associated with myriad physical and mental health benefits. Some people come to yoga for exercise, some for stress reduction, some for peace of mind, and some for transcendent bliss. Those individuals may be relatively healthy, or they may be chronically or acutely ill. And some people seek yoga in order to better manage the symptoms and challenges of chronic or acute conditions. They may want to attend general yoga classes that are accessible for people with limitations or challenges. Or they may want to work with a yoga therapist for a specific, individualized, focused approach. It is sometimes said that all yoga is therapeutic—and I would agree…when it is actually yoga. Which means that it must be practiced mindfully, in unification1 , and without harming oneself. Yoga becomes unhealthy when it is no longer truly yoga—when it is forced, frustrated, distracted, competitive, or rushed. That being said, just because all yoga can be therapeutic does not mean that all yoga is yoga therapy. You can benefit from the therapeutic effects of yoga without necessarily engaging in an established therapeutic relationship with a care provider, just as someone can benefit from exercise without working with an exercise physiologist. Expert guidance, however, may help you to achieve the outcomes you seek. Yoga therapy has been defined by the International Association of Yoga Therapists (IAYT) as “the process of empowering individuals to progress toward improved health and well-being through the application of the teachings and practices of yoga.” I believe that the key word in this definition is “application.” Yoga therapy does not offer the teachings of yoga simply for their general benefit but specifically to help facilitate improved health and well-being. Yoga therapy sessions are often conducted one-on-one or in small groups of people with common goals and challenges (e.g., trauma survivors, or those living with cancer or recovering from surgery). Three main features that help to distinguish yoga therapy from yoga teaching are: 1) intake, 2) plan of care, and 3) assessment. A thorough intake ensures that the yoga therapist has a full and appropriate understanding of the client on all kosha levels (levels of being). A plan of care ensures that the client and yoga therapist have a mutual understanding of the concerns and priorities that will be the focus of care, and assessment ensures that the plan of care is appropriate and designed to facilitate progress toward the health and well-being that the client seeks. Yoga therapy does not operate from a biomedical model or biopsychosocial framework, and is therefore distinct from modalities such as physical therapy or psychotherapy. Yoga therapy does not “treat” a condition, but works with the whole person to help restore more balance to the system wherever it is needed. In my yoga therapy work, the yoga is less about what is happening in the joints and more about my client’s whole-person relationship to whatever may be happening in the joints, which cannot be addressed so directly in a general yoga setting. Maybe the joints actually change, and maybe they don’t, but this does not determine the success of the therapy, because that was never the intention. That is better left to other healthcare providers more appropriately suited to focus on disease pathology. While accessible yoga can be offered privately or in small groups, and there may be some sort of intake to ensure basic safety and common understanding, it does not formally execute the three elements noted above. Additionally, yoga therapy tends to emphasize other yoga practices that are often not part of general yoga classes, such as a variety of breathing practices, relaxation and yoga nidra, visualization, restorative postures, meditation, gentle postures, lifestyle changes, and the application of yoga philosophy both on and off the mat. This is actually one way that accessible yoga and yoga therapy can overlap, because the non-asana practices are some of the most accessible practices available, regardless of health status or physical ability. The move in contemporary yoga toward a more asana-focused practice has not only made yoga less accessible, but has also diminished awareness of its most essential practices. The fact that every yoga therapist is first trained as a yoga teacher and that most yoga therapists also teach yoga classes may blur the distinction between the two. Because of their therapeutic focus, they may be more likely to teach yoga classes that are accessible to the very populations they tend to serve therapeutically. For example, I work privately with yoga therapy clients, all of whom have some form of arthritis or rheumatic disease. I also sometimes teach yoga classes, which are always taught with accessibility at the forefront of my mind—in everything from the entire approach to the philosophy underpinning each of the practices. Additionally, because yoga therapists tend to be very experienced teachers themselves, many often train yoga teachers and are perhaps best equipped to ensure that yoga teaching is safe and appropriate for those with challenges and limitations who seek yoga for any number of reasons. Because of this overlap between yoga teaching and yoga therapy, the two fields will necessarily remain intertwined. While not all accessible yoga teachers are yoga therapists, the inverse is likely true. And it will be partly because of yoga therapists that yoga continues to become safer for the broader populations that seek it. And while yoga therapy gets a pretty good safety rating, it can be more expensive than yoga classes, and not every student wants a therapeutic approach. Yoga teachers can make their classes more accessible by grounding their teaching in yoga philosophy, empowering students to honor their own limitations, fostering a supportive (and noncompetitive) environment, and obtaining specialized training in the accessible teaching practices most appropriate for their students. While there are many people who serve as both accessible yoga teachers and yoga therapists, it is important that we remain clear about the distinction between the two. Yoga therapy is becoming increasingly professionalized as a healthcare discipline. It has an established scope of practice, code of ethics, accreditation of schools, and certification for practitioners. Yoga therapy will eventually have a distinct accrediting body separate from IAYT and will likely require a credentialing exam. It is also possible that yoga therapy will someday be a licensed healthcare profession that will be routinely covered by insurance. It is very clear that the profession of yoga teaching has no interest in going in that direction, nor should it. Yoga teaching is just that—teaching, not healthcare. If we want appropriate policies and practices, the two fields should remain distinct, yet also collaborative. Collaboration is appropriate, given shared interests, shared professionals, and shared clientele. Yoga teaching should ultimately establish its own definition, scope of practice, code of ethics, and universal certification process (some of which are already underway), but those will look very different from those of yoga therapy. While there are many people who serve as both accessible yoga teachers and yoga therapists, it is important that we remain clear about the distinction between the two. It is also important to clarify that the world needs both yoga teachers and yoga therapists. Not everyone living with arthritis wants yoga therapy. They may just want to take a yoga class with their neighbor. They may want to be more flexible, have better balance, become stronger, breathe more easily, focus their mind, feel a spiritual connection, or manage their stress. Or maybe they just want to move their body the way yoga invites them to do. Everyone deserves access to yoga, and anyone with a body and a mind can practice unifying them. I believe that all yoga teachers should be trained in accessible practices to make yoga safer and more welcoming for anyone who seeks it. However, this does not mean that all yoga teachers should become yoga therapists. Yoga therapy is a related but different profession, requiring much more extensive training (a minimum of 1,000 hours vs. 200 for yoga teachers). Yoga therapists will likely find themselves increasingly in demand in hospitals and clinical settings, in research studies, and in work that serves high-risk populations. But while that demand increases, the general practice of yoga can also be expected to increase, as it has for decades. As we aim to make yoga safer and more welcoming to diverse populations, and as research continues to demonstrate yoga’s safety and benefits, we will need yoga teachers who have the training and skills for increased accessibility. Clients often come to me in my role as a yoga therapist because they couldn’t find an appropriate yoga class. The classes are up a flight of stairs, or in a hot room, or at a fast pace, or offered only early in the morning (when joint stiffness is worst). Sometimes they have tried a yoga class and been forced into a painful position, reprimanded for modifying poses, or made to feel alienated by their limitations. While I am happy to work with them therapeutically, I also want them to feel welcome in a yoga class. And after I have worked with a client for a while, I want them to “graduate” to independent yoga practice. While this can be done at home, there are specific benefits to practicing in a group setting, but only when it is safe and appropriate. This is why I also train yoga teachers—because it should be a basic right for students with disabilities to have access to public accommodations. I remain a fierce advocate for both yoga therapy and accessible yoga. As a yoga teacher, yoga therapist, and yoga researcher, I am keenly aware of the ways yoga can benefit all populations. Both my anecdotal evidence and research evidence demonstrate that yoga practice can improve physical and mental health, when it is offered safely and appropriately—as therapy, or not. 1. Referring to unification of mind and body, of individual and collective, of self and divine.